Eat Less – Move More. My weight-release philosophy is quite simple, it was shared with me by my mother ,and my older sister. That’s it – Eat Less, Move More. I’m by no means a fitness or nutrition guru, but I’ve picked up my fair share of tips over the past 41 years. I’m happy to share my “ah-ha moments” with you over the coming weeks/months of my personal journey. The retirees at the mall show me every day that if I get moving NOW… I’ll keep moving well into my 60s, 70s and 80s. I want to live to be 100, so I know that I’ve got to get active, and stay active every day between now and then. The Sigg Bottle Is Your Friend. I usually don’t stock juice in our fridge. 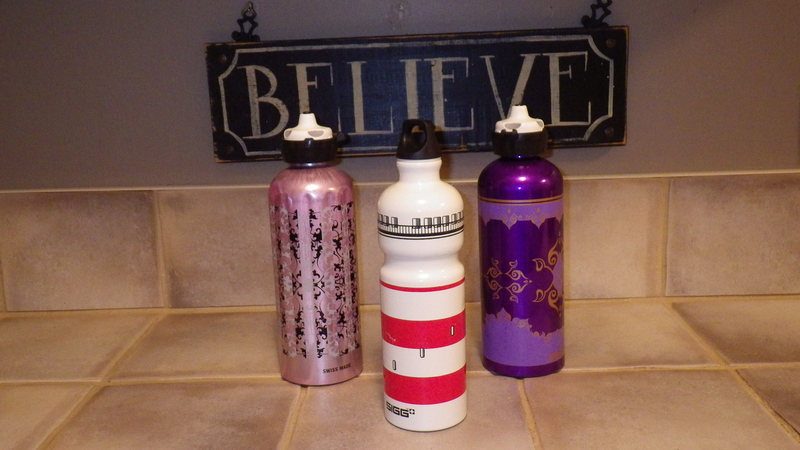 My husband and I prefer to use our 1L Sigg bottles and to drink water (tap water), either straight-up, or with a squeeze of organic lemon juice, or with Mio/Crystal Light. I changed my juice-habit many years ago, so I find it quite easy to drink 2 to 3 litres of water per day. When I’m walking I carry a Sigg bottle of very cold water to hydrate me throughout my workout. Yes… I CAN drink water and walk at the same time!Of note, I have heard that most of the time when you think you’re hungry, your body is actually thirsty. So I try to drink a glass of water, instead of opening the fridge and grabbing a snack. But if I’m still hungry after that, I try to keep some healthy snacks of pre-cut fruit/veggies front and centre in my fridge. I like the meal plan where you eat 6 smaller meals a day. 1L Sigg bottles are your best friend. I have a few and place them around the house for easy access to my water, great for traveling too. Make Breakfast Simple. I switched back to a weight-release-proven smoothie recipe using Lean Fit’s Whey Protein Powder, Frozen Berries (Strawberries or Blueberries), Agave Nectar and Skim Milk. One of my girlfriends shared this trick with me last year while she was shaping up, and it totally worked for her. You can read more about how to make that smoothie recipe on one of my previous blog posts. These smoothies taste very much like a milkshake if you blend them long enough.If you detest the grittiness of a typical protein shake, then this is the right brand of protein powder for you. This powder does not contain fibre, plus as a bonus, it’s low-carb (2g). And how else can you ingest 25g of protein first thing in the morning? I find having a high protein breakfast keeps me fuller, longer during the day. I get mine at Costco for about $40 for a 2kg container, which lasts me 2+ months. And when I’m busy writing, or running off to afternoon meetings, I’ll sometimes have a smoothie for lunch, but not very often. Downsize Your Dinner Plate. We have been using these Correlle Stoneware plates for many years. 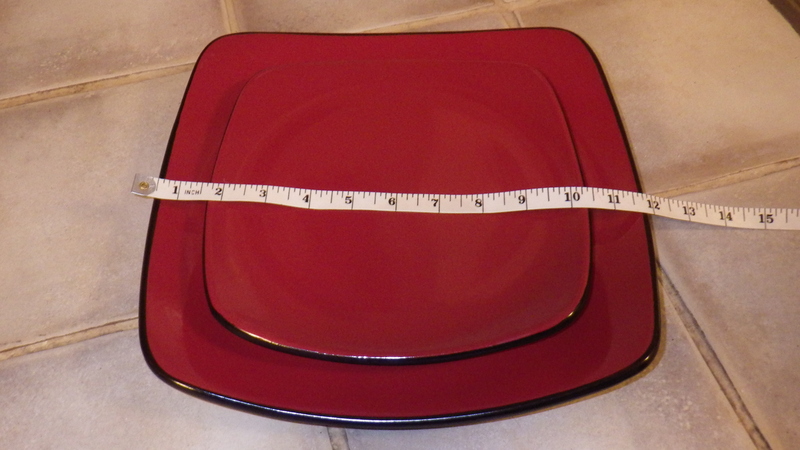 This year I decide that instead of using the 11.5 inch dinner plate for eating supper off of each night, that my husband and I would begin using the 8.5 inch lunch plate instead. We also focus on eating 3:1 vegetables to meat, or 2/3 of the plates for healthy veggies or salad, and 1/3 of the plate for protein. Bigger is NOT better. Our portion control is out of whack in North America. Focus on using plates that are 9-inches or smaller for your meals. Don’t Deprive Yourself. You don’t need to deprive yourself of your favourite meal, snack, or treat/dessert – you just need to remember to eat in moderation. My weakness is pretzels, but I can allow myself ONE serving size of 13 pretzels as a snack every once in awhile. I’ve portioned them out to cut down on my mindless eating while watching my favourite show. 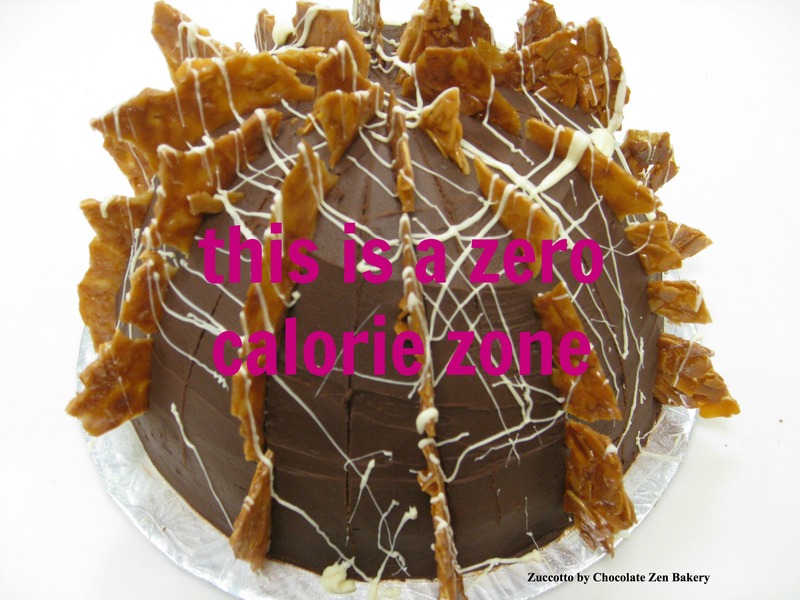 Yes, you CAN have a treat every once in awhile, in moderation. Try portioned out your snacks, or just one treat, like a truffle. As a chocoholic, you bet your bottom dollar that I’m not giving up my truffles! I allow myself one truffle, every few days when I have a sweets craving.By the way, did you know that LunchFor1.com is hosting Winnipeg’s 1st Annual Chocoholics’ Buffet at The Gates on Roblin Ballroom. This fundraiser benefiting the United Way of Winnipeg is an all-you-can-eat dessert bar of the very best chocolate desserts that our local chefs have to offer. If you’re interested in attending, you can buy tickets online here and join us on Saturday, April 20th, 2013. One night of indulgence! I’ll be working out hard between now and April 20th so that I can enjoy all the goodies. So enjoy my Weight Release Updates in addition to my healthier LunchFor1 posts. I hope that my suggestions can help you to shed a few pounds in the coming months of 2013. Please feel free to share your own success stories and tips in the comments area below. Or keep me posted on your own progress via Twitter (@LunchFor1), on my Facebook Page, or by subscribing and following me on my blog.